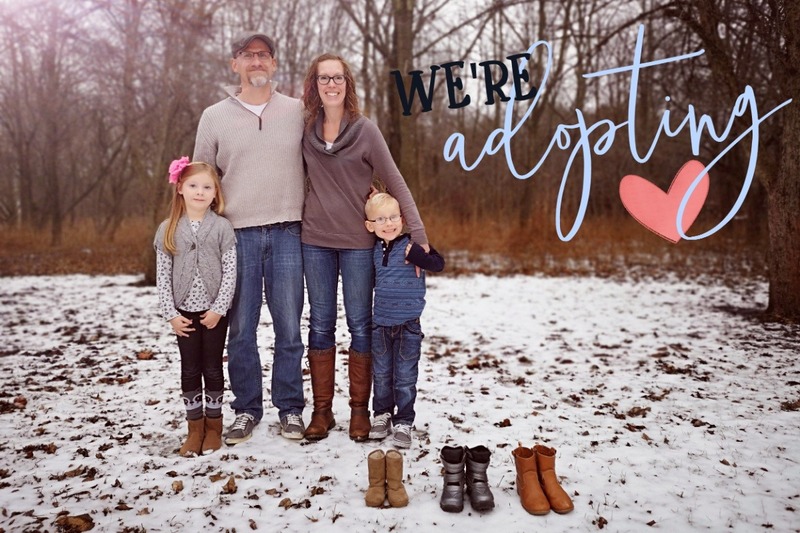 WE ARE ADOPTING!!! We are thrilled to announce that, Lord willing, we will be opening our home and hearts through international adoption. This is something both Daniel and I gave desired to do since before we were married and believe God has finally opened the door. We are looking to expand our family by adopting two siblings from Haiti. International adoption is very expensive and we need your help. We have already raised the $12,000 needed to cover our homestudy, PRIDE courses, psychological assessments and the initial payments to the agency and hope to cover the third and fourth agency payments through tight budgeting, local fundraising and grants but need your help raising the money for our second agency installment. Everyone who donates, no matter the size of the gift, will have their name written on a heart which will then be placed in a shadow box frame (made by my father) to be given as a gift to our children. If you wish to give anonymously, you can always email or message me your name afterwards. We would like to thank you all in advance for sharing in the joy of our adoption journey. Our homestudy has been submitted and we are working on getting our dossier together. I am busy crocheting little animal stuffies and dolls to sell in our local second hand stores as a fundraiser. We have also planned a bake/garage sale for May 24th and 25th. I will be making cupcakes, donuts and caramel corn to sell along with donations from our friends and family and what we have left from our online garage sale. Our GoFundMe has hit $1150 mark and we are very grateful to all who have donated or shared our page so far. Daniel and I are continuing to save every month and were even able to put extra aside this month as Daniel received another raise as well as some backpay. Please continue to pray for us, especially since all the business is starting to affect not only Daniel and I, but the kids too. Love the Kok Family.